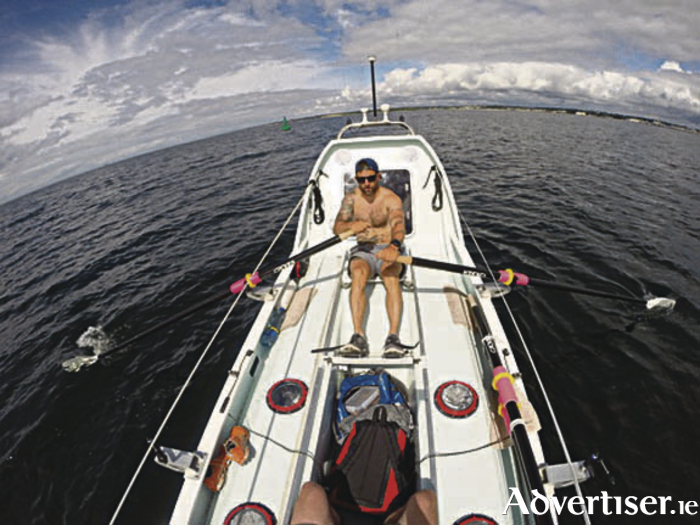 Galway man Gavan Hennigan is preparing for his biggest adventure to date, a solo row across the Atlantic as part of the Talisker Whiskey Atlantic Challenge. On December 15 2016 Hennigan will undertake this mammoth adventure completely solo and unsupported, bidding to be one of only a handful of people on the planet to have rowed an ocean solo. The 5,000km crossing will be made in a specialized ocean rowing boat and it will take up to three months to complete the gruelling task. The voyage is widely considered to be one of the toughest challenges on the planet, pushing those who attempt it to their limits. To this day more people have climbed Everest, reached the North Pole or ventured into space than have successfully rowed the Atlantic. Not only that, but Hennigan plans to row it solo for which there have been even fewer crossings. Throughout the row, Hennigan will face raging seas, howling winds, sharks, blisters, salt rashes, sunstroke, and sleep deprivation, but is strengthened by his resolve to do this and to raise money for four charities, RNLI, Cancer Care West, Jigsaw, and Sanctuary. On Tuesday November 22, an evening for Hennigan will take place in Salthill Hotel. The evening will kick off at 6:30pm with the aim to send Hennigan off and to wish him well from the people of Galway. There will be light refreshments served and a Q and A session with the extreme environment athelete. Page generated in 0.2047 seconds.